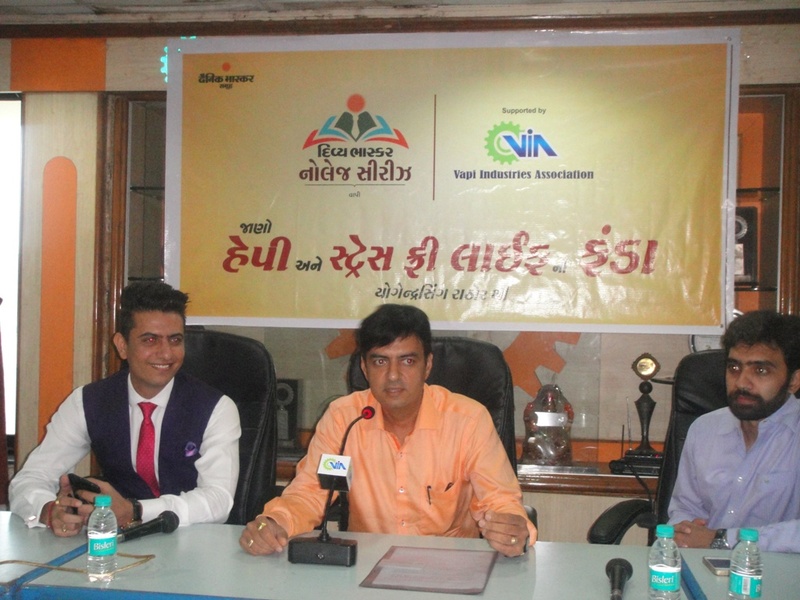 A motivational seminar on “Happy ane Stress free Life na Funda” was jointly organized with Divya Bhaskar Knowledge series at VIA 2nd Floor conference hall on 16th May 2016 on 04:00PM wherein Shri Parthiv Mehta, Hon Sec – VIA; Shri Magan Savalia, Jt. 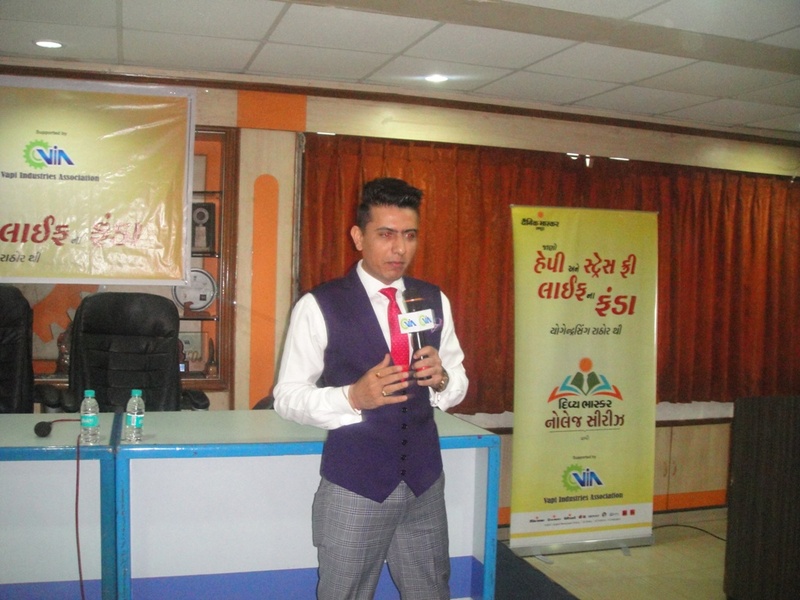 Sec – VIA; Shri Bhavin Shah, Jt. 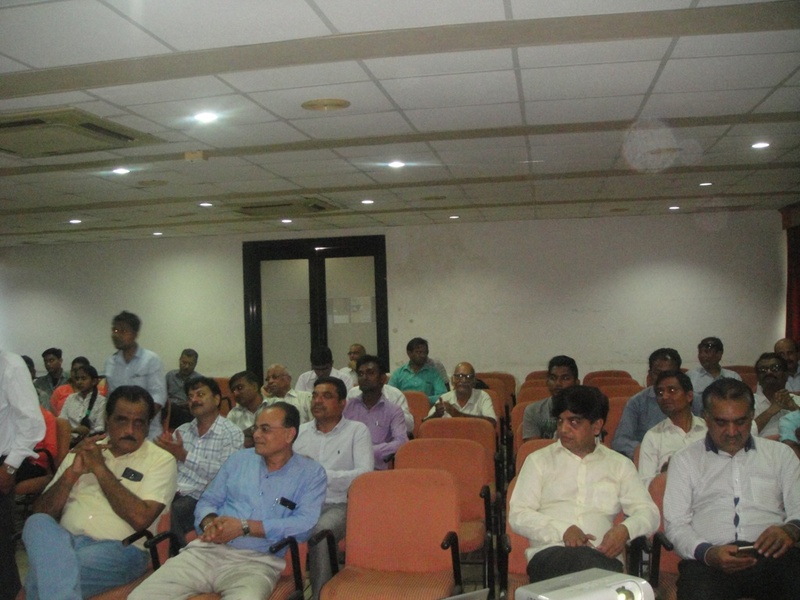 Chairman, Seminar Committee; Shri Satish G Patel; committee members and around 60 people were present in the seminar including industry members and other audience. 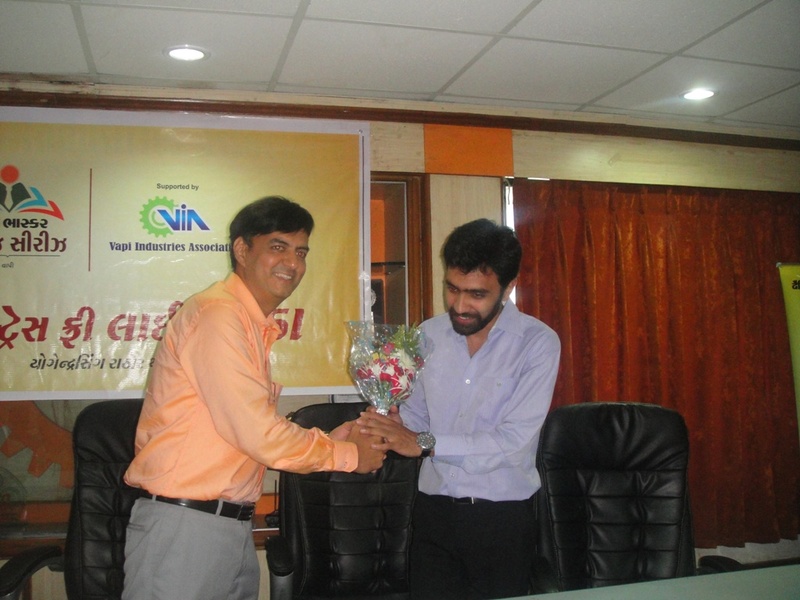 The guest Shri Alap Gandhi, State Head – Divya Bhaskar & the motivational speaker Shri Yogendra Singh Rathore were welcomed with bouquet. Shri Yogendra Singh Rathore explained that by implementing few simple things can make vast difference and make people happy and stress free.